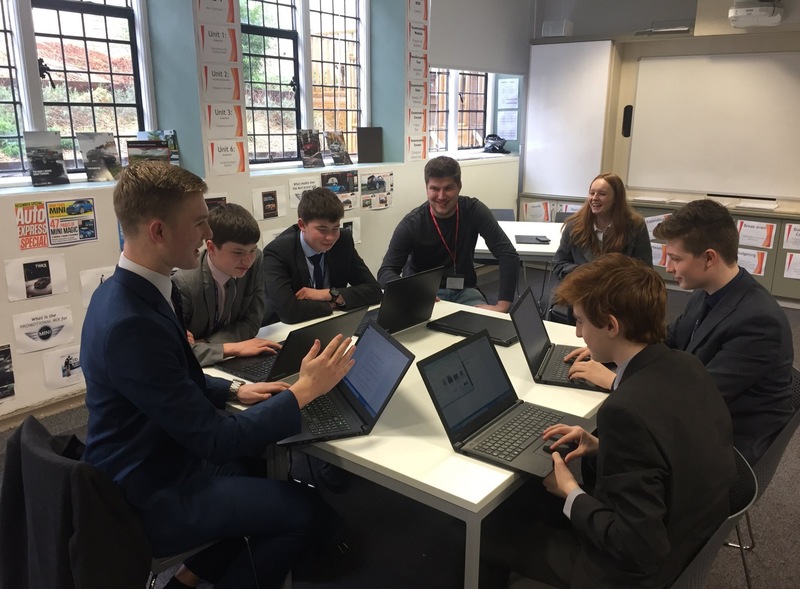 Student’s from BGU’s Business (Team Entrepreneurship) course ran a project with Year 12 students from the Business Department at Lincoln UTC in the spring term of 2017. The project, entirely led by the Team Entrepreneurs from the first year of the degree who have established their team company Kinetic Ltd, created business teams and set business challenges for UTC’s business students. Giving them a taste of the Team Entrepreneurship process (adapted from Finland’s Tiimiakatemia), within the projects UTC’s business students had to control their workloads, organise their teams, develop delegation and time management skills, develop a financial strategy and successfully project manage the different challenges the Team Entrepreneurs posed them. One of the challenges the business students faced was a charity challenge where they had two weeks to raise money for a charity – the chosen charity was Cancer Research UK. Over the course of the two week charity challenge, UTC’s business students raised £400 for Cancer Research UK. Important skills were developed from problem solving, communication, marketing and networking. Both Lincoln UTC and BGU continue to work closely together to develop student’s entrepreneurship skills and to continue to offer opportunities to share experiences and knowledge. Find out more about the BA (Hons) Business (Team Entrepreneurship) programme and follow the programme on twitter @BGU_businessTE. You can also follow the business department at Lincoln UTC on twitter @UTC_Business and Cancer Research UK @CR_UK.